Enabler provide best practice advice covering all B2B and B2C email marketing communications, email software and email consultancy. Unfortunately, not all of your subscribers will engage with the emails you send them. The average office worker receives 121 emails a day, making inboxes a competitive environment for you to be seen. A couple of reasons why some people might not engage or open your emails include; content, frequency/time of sends and your subject lines. A study by Marketing Sherpa found that personalising the subject line can increase open rates by over 17%. So here are 6 simple ways to try and re-active your less engaged subscribers and stand out from the other 120 emails! One of the most obvious ways to re-engage your less active contacts is to go back to the basics, remember why your contacts originally subscribed to your mailing list and the communications they would expect to receive from you. Sending irrelevant content which the contact did not originally subscribe to receive could result in contacts unsubscribing or not opening your emails. How would you define your less engaged users? Have a think about who would be classed as your less engaged contacts. For example anyone who has not responded, opened, clicked or acted on any email sent in the past 6-12 months. With this information you can then set up a list of contacts classified as less engaged and target these people with relevant re-engagement campaigns. Inactivity can be classed differently depending on the industry you are in, for example if you’re running a transactional email campaign based on insurance renewal dates, you may expect less people to interact on a day to day basis, but when approaching the dates relevant to the contact they will be more engaged. This is where personalisation is key, making your campaigns specific and relevant to the data you hold on your contacts. If you work in fashion, you might want to look at seasonal trends to determine inactivity. Ghosts: (they were never active, just joined your list once and never opened anything. The best way to target these people is with a re commitment campaign (e.g. are you still interested) if they’re not, get rid of them! Un-engaged (sleepy) – they were once engaged but aren’t any more AND it’s only just happened. Best way to target these people is with a re-engagement campaign. Now you have got your less engaged users defined, you can split them into different groups to ensure they are getting content which is relevant to them. For example you could look at your contacts age, geography, buying behaviour, job title, education or previous open activity. With this information you can go back to point 1 and target these contacts with relevant content based on their demographics. …and make sure you’re giving it to them. You can use surveys, polls and forms to find out more information about what content your less-engaged customers would like to receive from you. You could ask them questions about the emails they have received from you in the past and what content they would like to see in the future. Now would also be a good time to ask your contacts to update their marketing preferences. Ask them how frequently they would like to receive emails and what content they would like to recieve, for example; marketing material, business updates and newsletters. The key thing here is making sure that you use any learnings you find from asking to influence your strategy going forward. It’s important to include call to actions in all of your marketing emails you send out. Giving your contacts the option to get further information and learn more about the content you are sharing with them is vital. Building a reputation that your emails are going to contain exciting, relevant content will increase the chances of your contacts engaging in future communications. Make sure you’re getting the most out of your CTA’s by checking out our blog on Call to Actions! Subject lines are really important and will most likely be one of the main deciders to someone wanting to open your email or not. There are many ways you could improve your subject lines. We already have a really handy blog post with our Top Tips for an Irresistible Subject Line, go check it out. I hope these 6 tips have given you some ideas to try and re-engage with your less active contacts. Using our email platform, Enabler, you can build great re-engagement emails, forms/surveys and polls and organise your contacts into data lists. If you would like any assistance or if you have any questions, please contact us and we will be happy to help! Sometimes marketers need to learn when it’s time to let go. There’s nothing wrong with cleansing your data of people who don’t want to hear from you. Inactive subscribers can be a waste of time and resources. What’s the point of focusing efforts on a contact that doesn’t seem interested in your company or product anymore? A final point to consider, if you are constantly trying to email people who aren’t opening your emails it could have a negative effect on your sending reputation/deliverability. For example if Google or Yahoo sees that you’re sending email after email to people that aren’t opening them, they could start diverting your emails to the spam folder. Plug in, crank the dial and listen up, as we take a look at the power of Google’s new AMP for Email. As of February 2018 AMP is available for email, under the catchy (if unimaginative) title “AMP for Email”. According to Google, this is so “developers can create more engaging, interactive, and actionable email experiences.” It will allow the user to submit forms or surveys, check flight details, change a booking, get the latest news or search, select and purchase an item without even leaving the email. Basically Google doesn’t want you to leave the inbox if it’s not necessary, reducing the user journey from A to B. However, AMP for Email has caused a divide, with the majority wanting to pull the plug entirely. AMP for Email brings new opportunities for marketers, offering their clients interactivity, increased performance, and improved email accessibility. Which sounds great, but ‘wiring’ your emails for AMP is not that straightforward. Another concern is that Google just wants more control over people’s data, deciding how a process should work regardless of any current, tested, custom version. Imagine a retail store has developed its shopping cart process best to suit it’s clients needs, AMP for Email will not necessarily use this same process. What kind of impact does that have? Will the client lose faith with 2 processes? Will the website suffer from lack of driven hits and missed sale opportunities? Lastly, when Google mentions interactive and dynamic content within email, are they possibly talking about Google Ads? It’s very likely that Google will use this opportunity to push their Google Ads through AMP for Email. Hopefully we won’t end up with emails resembling bad 90’s style websites. We also have to consider if AMP for Email is even necessary? Is this a revolutionary kick start to interactive email or is it over complicating what is meant to be a simple process. All CSS to be included in <style amp-custom> tag, as above. Components like the img tag above, adopt the amp name. If you want to have a go, you can double check your code with an AMP HTML validator. This is not the first time Google has pursued email interactive products. In early 2010 they Beta tested “Enhanced Email”, “Google Wave” and “Google Grid”. All with not much success and were dropped after a few months. Interactive email could be the new era, and even if AMP for Email is not the right step, at least it is a step toward the future advancements of email. Are Google pushing the boundaries of the inbox, or just trying to take it over? But then who better to trial these new concepts than Google, perhaps if Apple or Microsoft adopts AMP for Email we will see further developments and testing. AMP for Email is in its early days, the full working version won’t be pushed out until later 2018, and there’s still a lot of unanswered questions regarding security. Some are excited, most seem to think it’s a bad idea. Lets just hope it’s a plus for the world of email. For more detail on AMP for Email you can see a recording from the AMP conference 2018: A New Frontier for AMP. Or, if this has piqued your interest, hit me up on Twitter –@Dipper2009 #emailgeeks. https://storage.googleapis.com/product-enabler.appspot.com/1/2018/09/blog_featured-image-1.jpg 688 815 Paul Dipper https://storage.googleapis.com/product-enabler.appspot.com/1/2018/09/enabler-logo.png Paul Dipper2018-09-11 11:00:442018-12-07 12:01:03AMP up or down? When it comes to emails, us marketers are always striving to get the most ‘bang for our buck’ from our email marketing software. We can be very greedy, wanting the cheapest software, with the most features, that’s easy to use and can help us secure the most clicks. Sometimes however, a marketer will go all out and purchase an email software with all the bells and whistles, but they end up never fully utilising the features to their full potential, meaning they pay a lot of bucks for very little bang. Now, as a proud email software provider this makes us very sad. We always ensure that our clients know every inch of our email system, Enabler, because we want our customers to fully utilise the system and all its features to help them create the best possible email marketing campaigns that generate the highest levels of engagement. So with that in mind, let’s take a look at some of Enabler’s key features that can help you create slick email marketing campaigns, fast. Enabler has a really simple, easy to use Drag and Drop email editor. This allows you to create beautifully responsive email templates effortlessly, without requiring any HTML or coding skills. The Drag and Drop editor allows you to build your emails from a blank template or preset designs built by the creative team at Enabler. You can effortlessly drag different components into your email to help create and enhance your email content, including text, images, buttons, social media widgets, video or even bespoke HTML code snippets. All our Drag and Drop templates are fully mobile responsive, and can be edited and duplicated in a handful of clicks. Once you have created your email template using our Drag and Drop system, you might want to create a more comprehensive email campaign that enables you to gather additional information or feedback from your customers. Using Enabler, you can quickly and easily build forms, surveys and polls into your marketing campaigns. These elements are all fully customisable, allowing you to change the colours and imagery to match your branding. Enabler gives you complete flexibility over how you display these forms, surveys and polls, enabling you to link to these elements from your email campaigns or choosing to embed them within your own webpages. You have the flexibility to set up submission alerts notifying your campaign managers (or anyone you like) whenever someone submits an entry. Another intelligent feature allows you to set up ‘automated trigger emails’ to be sent off the back of a new form submission. This could be extremely useful if someone signs up for a newsletter or completes a form submission, as Enabler will automatically send them a confirmation / follow up email of your design. Having such a smooth transition of automated communications between forms, surveys and polls, and your email campaigns, helps to make your marketing communications more efficient (saving you time), plus ensures a stronger likelihood of customer acquisition and/or retention. Enabler gives you the flexibility to customise your forms, surveys and polls by choosing the format of your questions and adding as many questions as you like. Another clever Enabler feature is survey branching, this enables you to direct the user down a different line of questioning depending on their answers. You can find more information about branching and writing great survey questions in a recent Email Survey blog. Do you hold lots of unique data about your customers, for example birthdays, policy renewal/expiry dates, customer account logins, registration numbers, discount codes and location? If so, Enabler enables you to not only store but also utilise this unique data by adding it into your email templates as extended fields. Extended fields are variable fields that can be used within any Enabler template, pulling unique data through based on individual contact details. You can set these fields to contain whatever data you like (providing you have permission). Extended fields make your emails more personal by giving the contact receiving the email information that’s specific to them. This is really helpful when sending more bespoke, personalised emails. Using the data you hold on your contacts, Enabler provides the functionality to display ‘conditional content’, where different content is displayed to different contacts based on their data, all within a single email template. Conditional or Dynamic Content can be as simple as displaying different content based on a contact’s gender, or it can have a far more powerful purposes for your marketing campaigns. For instance, if a contact was looking at a particular product on your site and that information was contained within your data, you could display that product within your email template. Another example could be displaying different information based on a location or postcode, or if they are a new or existing customer. Providing you have the data, you can set up as many conditions as you like based on any of the data you hold. With every condition you set up, it has to be met by a particular contact(s) in order to display content. The screenshot below shows an example of a condition where contacts who have an extended field, “Favourite drink” that contains “Espresso”, Enabler will insert an image of an Espresso. We all know that sending an email campaign is only one half of the process. After your email campaign has been sent, you then need to do the all important reporting. Many of you who already use Enabler will know of our ‘Dashboard Report’, which gives a clear overview of all your standard email stats, including open rates; CTR, unsubscribes, bounces etc. What you might not know is that Enabler has a whole suite of Management Information Reports which provide in-depth analysis into the results of your email campaigns, giving you extensive insights into both your how your campaign performed and a greater insight into your contacts. Enabler’s reports include Browser Analysis, Click-Thru Times & Frequency, Demographics, GDPR Reports on customers, Campaign Charts and many more. Enabler’s comprehensive reports have been designed to give our customers a greater understanding of their campaign performance and their customer behaviour, which in turn help to inform future email campaigns. By providing powerful reporting tools at your fingertips, we ensure our Enabler users have the information they need to really make an impact with their email marketing campaigns. Hopefully this has given you some inspiration to use some of Enabler’s features on your upcoming campaigns. If you have any questions about Enabler and its features please contact our email team who will be happy to assist you. Do you want to learn more about your audience and enhance the quality of your data? Surveys are a great tool to gather valuable insights and information, allowing you to collect enriched data in both a formal and informal fashion.. Capturing data from your customers allows you to really personalise your email campaigns, allowing you to target your customers with more relevant marketing content. Ultimately, this should improve your overall open rates and engagement level. Here are seven helpful pointers that will help you on your way to pulling off a great email survey. Make your questions easy to understand by being to the point and use simple, everyday language. The goal is to ensure your readers provide you with clear, accurate answers, so write short, simple questions and keep your tone informal without cramming too many things into one question. This is an example of a double-barrelled question. By asking the customer to answer about both the delivery time and the packaging, you can end up confusing the customer and forcing them to answer two questions in one. This could lead to the customer answering inaccurately to one part of the question or not answering the question properly at all. Making your questions concise and to the point will give you the best response rate as it makes it easier for the customer to complete the survey accurately. Try to avoid using words and phrases which could be left to the user’s interpretation (or misinterpretation). You want to include phrases and words which are commonly understood. For example words like numerous and several are too vague in their meaning and open to interpretation. You want to use words that are more commonly understood and provide more accurate information, such as almost all, a majority of or almost none provide customers with a more accurate, clear interpretation of the questions meaning. Using common and simple phrases will ensure your customers can easily answer the questions without having to think too hard about the answer they are selecting. Unfortunately, not everyone will be able to or want to answer every question. Give the reader an ‘out’ option. This will minimise the chance of people leaving the survey before completing it. It will also remove the chances of getting incorrect data. However, if you’re certain the reader can answer every question you do not need to do this. Where you can, change your ‘Yes/No’ and multiple choice questions to interval questions. Make a statement, and ask people to answer it on a 1-5 or, ‘Strongly Disagree, Disagree, Neither Agree nor Disagree, Agree, or Strongly Agree’. This will improve the quality of your results massively and give you more accurate information in return. Almost everyone has multiple devices, mobile phones, tablets and laptops. Make sure your survey is compatible across all devices to ensure it’s easy to access for everyone. Using a process called “Branching” you can personalise your survey to guide customers into following a more suitable line of questions based on their previous answers. This allows you to capture more relevant/personalised data. For example, you could ask the customer “How many children do you have?”. Depending on this response you could then direct the customer down a different line of questions. For instance if the customer has children, you could go onto ask parenting questions, if they don’t have children you could ask for the customers opinion on families and parenting. Using branching allows you to receive more relevant information about your customers and again allowing you to send more personalised and relevant content to them allows for more accurate answers. Pre-testing will help identify unclear questions or badly-worded responses before you send your survey out to your readers, giving you a chance to improve your survey and its chances of generating accurate, actionable feedback. Hopefully these tips will help you create a fantastic survey with great results! Using our system, Enabler, you can create integrated marketing campaigns, and use tools such as surveys to enhance your campaigns and strategy. Email marketing has been and will continue to be one of the most effective marketing tools in a marketeers arsenal. On the face of it, email can look really straightforward, but underneath there are intricacies that make planning a successful email strategy tricky… especially for a first time flier! Given the complicated nature of the email channel, we often get asked if it’s actually worth using the channel at all. As you can imagine, my answer is yes… and here’s five key reasons why. Email marketing works 40 times better at acquiring new customers than Facebook and Twitter, and compared to social media; offering marketeers 17% higher conversion rates. That’s right. Email rules the roost. Now, I’m not saying you should read this and immediately go and start bombarding your marketing list with emails, but this definitely demonstrates why you should be making efficient use of the channel. Additionally, email is better than Facebook because according to Forrester, people are twice as likely to sign up for your email list as they are to interact with you on Facebook. 47% of people will open an email based on the subject line alone. Now I was pretty astounded when I found this figure out. In my head, as a marketeer, people would primarily be opening emails based on brand recognition, so to find out subject lines actually have a pretty huge impact, without the branding side playing a role, changed the way I approached my email marketing. What’s really interesting is that 69% of email recipients report email as spam based solely on the subject line, so it’s a careful balancing act. If you need some help creating magical subject lines, check out our top tips for an irresistible subject line. If this doesn’t convince you how valuable the email channel is, I might as well give up now! This is why we try and grow marketing lists and target people using personalisation – the benefits it can have are incredible. I don’t know about you, but in every place I’ve worked, email is the one thing that is constantly questioned. I’ve lost count of the times where I’ve heard ‘Yeah but does it actually do anything’ or ‘Prove it’. This is a clear sign that email is a valuable channel and incredibly effective. 89% of Americans check email at least once a day; nearly 21% check their email more than 5 times a day. This is a true testament to how many opportunities there are to not only drive existing and potential customers to buy from brands based on email, but also to increase brand awareness and presence. There is no other marketing function that allows you quite as much exposure to consumers so efficiently. According to Radicati’s 2016 Email Statistics report, emails will be used by 3 billion people by 2020. That’s almost half of the world’s population. Currently, there are over 2.6 billion email users worldwide. This is crazy given how many other forms of communication are available e.g. IM, Social Media. While new communication tools are constantly being developed and released, email is the one outlasting them all. You will also find that email addresses are the main form of identify required for day to day functions such as online shopping and social networks, suggesting that no matter how many new ways of communicating spring up, email will always be necessary and useful. So there you have it – five key stats about email. Video may have killed the radio star, but it’s certainly alive and kicking in email. Let’s take a look at the different types of video is being utilised today, plus some coding tips on how to implement video within your own email marketing. In today’s online world, video is everywhere – streaming out the sides of the internet and going full screen on every platform. Videos online evolution can be associated with renowned sites such as YouTube or Vimeo, both created in the early 2000s. These types of sites have transformed the way we see and interact with videos online, paving the way for video sharing, streaming, higher visual and sound quality, and the significant development of audience targeted programming. Nearly all social media channels today have involvement in video; Facebook, Instagram, Snapchat, Google+, Twitter – to name a few. So it’s no surprise that videos next evolutionary step was into email… in fact it would have been unusual not too. So let’s take a look at how you can take advantage of the benefits of having video within your own emails, by giving you some helpful tips on how best to implement it. There are two main ways of placing video into your emails. The first would be to have an actual mp4 video file playing directly within your email using HTML5 video, with a fallback image for those email clients that cannot play video. Unfortunately because the list of email clients that support a full working embedded video file is quite limited, the fact is your fallback image is more likely to be displayed than your video… which makes your video file a bit of a B movie email. The second, not so advanced but more widely accessible method, would be to incorporate a link to a video within your email by using an animated image or GIF of a video. Utilising a GIF (see below) instead of a full video file ensures your video is more likely to be supported by email clients. So your end user gets the impression of a full working video, while you relax knowing you haven’t got the drawback of your video not displaying within your email. Using a video format that’s more widely supported, like a GIF, allows you to reap the benefits of having a blockbuster email that drives higher engagement levels. Now, if you do decide to go down the route of embedding a full video file with a fallback image in your email, we’ve got some technical tips to help you along the way. Let’s take a look at the code* below and go through how we actually get a video embedded within an email. Within the stylesheet the video is wrapped in a display: none, until requested to display: block, dependant on the viewing platform. Vice versa for the Video fallback. The @supports styling are workarounds for different iOS platforms and a Yahoo fallback. #MessageViewBody is for displaying video with the Samsung email client on the Galaxy range. The next two sections are the video section, with a pre-play/poster image, and the first fallback image, for those email clients that don’t play video. The second fallback section is for email clients that load the pre-play image but won’t play the video. This just links an image to an online or streamed version of the video. The size of the video can be set inline, currently 320×176, just remember to set/change it for the fallback image as well. Now if you’re not one for coding, there are some companies, like playable.video, that will take your video file, convert it and provide a 10 second clip with the code to embed into your email. Our best practice top tips would be to use a small video file size within your emails – just like images you don’t want a long download time. So if you like the mentality of “build it and they will come”, having engaging video content within your emails could give you that edge over your competitors, meaning more subscribers, more clicks and potentially more sales! The future of video will hopefully provide streamable videos directly in your inbox, meaning “where we’re going, we don’t need fallback images”…but that’s (potentially) in the future. So “show me the videos” and lets see your emails go “to infinity and beyond”, and “I’ll be back” soon with more blogs. Is it a bird? Is it a plane? No it’s Kinetic Email! “Kinetic email… what’s that?” we hear you say. “That must be the latest in email development!” Well… actually, despite sounding like a new type of superhero, Kinetic emails (or as we sometimes call it ‘Captain Kinetic’), have been around for a few years now. 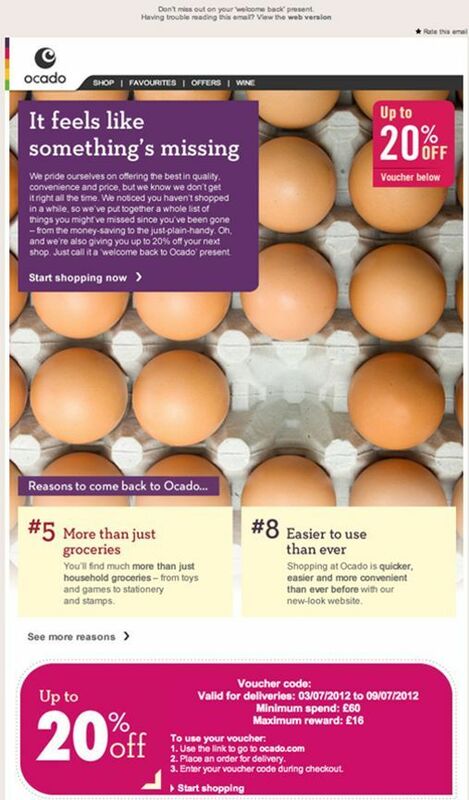 Kinetic email was coined by the Oracle Corporation in July 2014 for their B&Q email marketing campaign. The email they produced used HTML5 and CSS3 and contained an interactive hero image carousel, which was triggered by mouse hover buttons. And just like that, KAPOW!, the Kinetic Hero saves the day. 18% increase in responder-to-open rates, with 32% increase among club members. 42,000 click-throughs to the website. 30% decrease in time spent on email. The clever part of using a kinetic carousel image which housed all the information and links meant there was less time spent in an email by the user. A regular email format would have seen users scrolling down through different sections, with the information and links spread out across the email – the Kinetic Hero, however, had everything in one place. B&Q successfully decreased the time spent in email and upped the click through rate, by directing the user (via the interactive carousel), without the need to scroll through the whole page. So the basis of Kinetic images within email is the use of CSS3 transitions and animations, which opens up lots of possibilities for captivating or interactive emails. As you can see, Kinetic Heroes have a lot of work to do. These are the emails that utilise CSS transitions and animations. A good example of this is the auto scroll carousels. These type of emails are where the user actually interacts with the email. The example below has a collapsible hamburger menu. Other examples could be a carousel where each slide has a clickable button. This is where CSS uses different effects to animate or make the email interactive. For example how hovering over this B&Q example which used CSS animate to change the background colour, giving the impression of the wall paint changing colour. Captain Kinetics possible Kryptonite could be Outlook (or ‘Baron Outlook’ as I like to call him). The majority of email clients work well with interactive and dynamic CSS techniques. Outlook however, does not and would rely upon the fallback code and images that are in place, mean that the kinetic image becomes a static one…which is obviously less engaging. For example, Pret’s smoothie email is a good example of a Kinetic fallback. A working example can be found here. If you’re worried about your Kinetic Hero image rendering properly in an inbox, never fear, an extensive email client support list produced by FreshInbox, for interactive and dynamic CSS can be found here. Captain Kinetics potential arch nemesis could be Gmail (to keep with the theme, we’ll call it ‘Ghoulmail’). Google recently announced that they are bringing their Accelerated Mobile Pages (AMP) framework to Gmail. AMP for Email is open source code, it will allow developers to embed widgets in emails that are constantly up-to-date and include actionable functions that work without leaving your inbox. This could include actionable forms where the user could for instance RSVP to an event, schedule an appointment, or fill out a questionnaire right from the email message. The jury is still out on AMP for Email, the majority are worried about security and spoofing the end user with fake links. Others are quick to respond that there are plenty of safeguards in place with fast response times to fake emails. AMP for Email is due for release later on this in 2018, and some companies already developing features for AMP for Email include Pinterest, Booking.com, and Doodle. 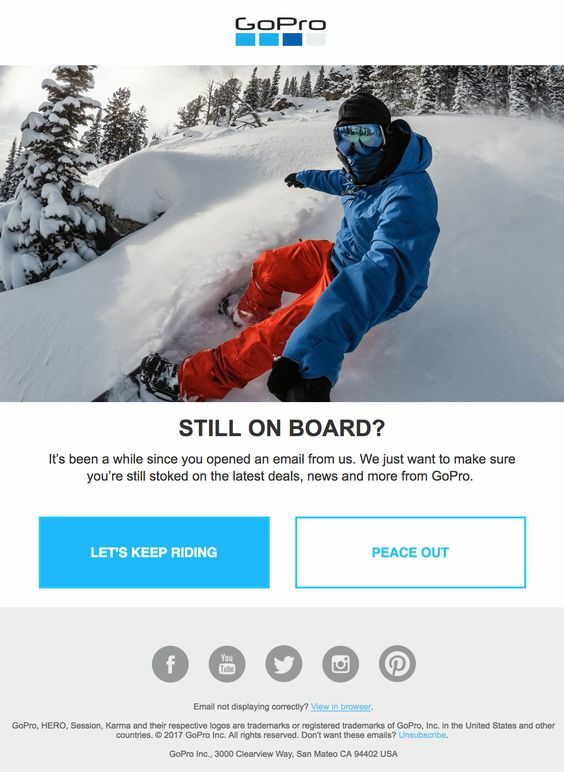 Although Kinetic emails have been with us for a few years now, it’s possible they have not reached their full potential. A well planned campaign could utilise the unique attributes of Kinetic design or styling, and push through its current boundaries. Google’s AMP for email could also give Kinetic a boost or refresh of new ideas, being a very close competitor. Also what advancements might Kinetic utilise with updated HTML and CSS standards? Let’s hope the email clients allow for more CSS3 transitions or animations to keep taking email forward. Kinetic emails are quite adaptable with good fallback support on standard imagery, so why not try out some Kinetic ideas today… trust your senses and be use a kinetic hero. Choosing the right email provider can feel a tad daunting. The closest thing I can compare it to is renting a house. You really want to find somewhere that fits all your stuff, has all the rooms you need, doesn’t cost an arm and a leg to rent, and you wont end up wanting to move a few months after signing the contract. Sure, you can deal with having no double glazing… but why should you? It’s the same with email providers. You want one that stores all your stuff (data) in the way you want it to, has all the rooms (functionality) you need, doesn’t cost an arm and a leg to use, and ideally you don’t want the hassle of having to switch providers down the line because it doesn’t live up to expectations. Don’t panic though, because I’m going help make choosing a new email provider very straightforward and, unlike house viewings, you won’t have to leave the comfort of your chair! You’re clearly looking for an email service provide (ESP) for a reason. My guess is you’ve worked out that email is a super effective marketing channel, where the costs can be relatively low and the results can be outstanding. But before you choose your provider, you need to think about how you want email marketing to work within your overall marketing strategy. It really is important to have clear objectives and goals around what you want to achieve from your email marketing. These decisions will help influence your choice of provider, dependent on if they offer the functionality to help you achieve these goals. For example, are you going to be sending newsletters, upselling or using email as a lead gen tool? What metrics do you want to track? Do you want your emails to be created within a simple drag’n’drop system or do you want to add externally created HTML designs? Are you interested in dynamic content or A/B testing? Your answers to all these questions will help dictate the features you want from an ESP. It will also give you a clear idea of what your priorities are when selecting an ESP, and who is most suited to facilitate those priorities. There are four key features that you should be checking when selecting a provider – and they are a must. You’ll need to ensure that the tool you’re looking at not only has those features, but also makes them easy to use. You’ll also need to have a clear idea about which features are a priority to you and your business. A key part of any email campaign is creating the emails you plan on sending. Any decent email provider should be offering you an easy-to-use solution for creating the email templates yourself within their system. For example, in Enabler, we have a drag and drop system which allows you to create emails using simple building blocks, that are mobile responsive by default (another key thing to look out for). When looking for your new system, you should also want to ensure it allows you to upload HTML and images created externally to the tool. Free image hosting is a great bonus too! Creating beautiful emails is all very well, but how useful are they if you can’t track how well they are performing? A good ESP will let you track opens, clicks, send / net send numbers as well as bounces and unsubscribes. However, a more robust enterprise level system, like Enabler, will let you delve deeper into the metrics and look at what devices / browsers your recipients are opening the emails on, as well as letting you report on demographic data and day/hour engagement performance. You should also enquire if the ESP has end-to-end tracking (tracking behaviour from the email right through to your website pages). Sending the most relevant messages to the right people at the right time is super important, and that’s what automation helps you do. Ensure your email service provider offers solid workflows to help you schedule and send automated messages.These should be laid out in a clear way – a step-by-step structure usually works really well. If you feel like you need more information about automation before making a decision about what works for you, take a look at our blog: What is Marketing Automation? Is there something else that you think you might need for make your email strategy to work? Maybe you want to be able to create and send forms and surveys, or create bespoke landing pages from within the tool? Really good ESP’s will provide these things, some even provide them as standard – like Enabler -, but not all will so make a list of what you need and make sure to ask each ESP if they fulfil these requirements. It’s also worth asking if these features come with the system or if they are optional extras that you will be charged extra for. Email in general doesn’t need a huge budget to be effective, but in marketing, effective isn’t always enough. If you want truly epic campaigns and associated analytics, you need to ensure you’re putting the budget in place to achieve this. Email systems vary in terms of price range. There are very basic free tools out there and then there are tools that cost tens of thousands of pounds and have a ton of advanced functionality. Now, enterprise level providers may seem attractive on the surface, but if you don’t actually use all those fancy add on features which cost those extra pennies (which by the way can take a lot of time to learn how to use in the first place and you may end up spending many precious hours trying to navigate) you’ll end up just throwing good money away. Basically, you have your choice of low, medium and enterprise level providers. Choosing the right one for your needs can keep costs low and deliver functionality while simultaneously keeping return on your efforts high. There’s no point putting together beautiful campaigns if they don’t get through to anyone. To have a chance of engaging customers and prospects, your messages have got to land in their inboxes. Now, that might sound obvious, but not all ESPs are equal when it comes to delivery rates. Make sure you are asking potential ESPs about its delivery rate and how they work with their customers to keep that rate high. Ideally you want to be searching for a provider that can offer rates of over 95%. To bare in mind that delivery rates are a combination of both how the email service provider ensures delivery to inboxes on the backend and how you use the service. For example, if you buy a data list and start sending to it, you may find that you have a high bounce rate which can impact your sending reputation. Ensure you are asking for any resources they offer on best practices for content and list management, and also find out if you can have your own sending IP to ensure you’re not influenced by what other clients of the ESP are doing with their data. Give their support desk a call and see how long it takes for you to be speaking to a real human. Is there a key place on the product that tells you how to get in touch with the support desk? Have a look at what their response rates are – they should be able to share these stats with you (example of one of these stats guides from Enabler’s customer service desk to the right). Think about what kind of support you will need, do you need Monday to Friday, or weekend support, or particular international timezones? Have they ever won any email awards for their product or support? Does the ESP have an online help system where you can search through frequently asked questions, or find out how a certain piece of functionality works? If so, this a great sign. Properly good support systems will also have step-by-step how to guides available for key areas of the system. With any product, you want to know that you’ll get the best support out there. Testimonials from existing clients of the ESP are a good indicator of how good both the product and the support network is. You can also have a look at the sorts of clients using the product – do you think their objectives are similar to yours? If so, they may have done some of your homework for you! Once you’ve considered all the factors we’ve discussed, you’ll be in a position to select a provider. Now, before you go any further, I wouldn’t be doing my job if I didn’t tell you to consider throwing Enabler into the mix (check out the product here). Right, sales pitch over. Time for me to wish you good luck in choosing your ESP… that’s if you haven’t chosen Enabler already! Okay now I’m really done, promise. An API (Application Programming Interface), believe it or not, is an interface between two software programs. It essentially allows the two programs to make use of each other’s services and resources, and interact with each other. You can think of them like tunnels between programs that allow them to work together… and all without exposing their inner programming! You might not realise it, but you will probably use APIs nearly every day of your life. For example, an API would let you open a chat window inside an app, or let you run a map program on your website. Being totally honest with you, it’s really hard to get really excited about APIs themselves, (my development team are shaking their heads in dismay as I write this), but what is worth getting excited about are the benefits APIs have for marketing purposes. Most email systems today will have some sort of built in API functionality where, with a little effort, you can link your company data systems to your email service provider. This is something we do with Enabler’s email marketing software, allowing is to provide the option of adding bespoke APIs completely tailored to your data needs. From an email marketing perspective, APIs allow you to do some really cool things that allow you to deliver much more targeted messages to your consumers, helping with both acquisition and retention. API integrations allow your data that’s being stored elsewhere (i.e. CRM system) to be drawn down into your email system. Giving your email marketing software direct access to your customer data has big benefits for enhancing and deploy your emails, especially when it come to marketing automation. Let’s take a look at an API example in action. eBay utilised an API integration to send out a daily product email to their customers. Each deals displayed within the email is being automatically drawn from the eBay product pages. The deals changed daily on the website, and because an API was set up between the website and the email campaign, it meant the email deals changed also to reflect the website. This meant that the marketing team could send the same daily emails without so much as a single edit to the actual email content, and know that everything in the emails would be automatically updated to reflect the current deals. The smartest thing about this API integrated email is yet to come however… If a recipient opened this email the day after it was sent, they would see the content for the day they opened, not the day it was deployed, meaning they always saw the latest deals. The reason API integrations are so powerful is because the data being pulled through the API already exists, and as a marketer all you are doing is bringing that information into your campaigns. Customers of airlines and ticketing venues can select or upgrade the latest seats from within an email. Restaurant guests can receive special deals and reserve seats in real-time within a few taps. Doctors appointments could be made from within an email simply by displaying an up-to-date list of appointment times. Hotels could send loyalty emails to their customer base and guests could reserve a room directly from the email. Sending a welcome email to a customer when they sign up on your website. API’s also serve another function in the world of email. Let’s say you have a fantastic CRM system, but sadly it doesn’t send email…now in the old days this would have meant exporting data from that system, uploading it into your email tool, sending an email, exporting the unsubscribes from that email, and re-uploading into your CRM. I don’t know about you but I get exhausted just thinking about that process. Luckily, those days are over! You can now use APIs to help manage your data across multiple systems. When transferring data between systems, an ‘API call’ is made. An API call is an individual interaction between the two applications through the API, for example when a request for data is made from one system to the other using the API. This allows the two systems to keep your data up-to-date across both systems simultaneously without any manual intervention. Each time a data transfer happens, lots of Personally Identifiable Information (PII) is being handled, so security is vital (especially with the GDPR updates coming in May!). Best practice for security when it comes to APIs is to assume that everyone is always out to get your data. Now, it’s also good to remember that not all APIs are equal, and not all vulnerabilities will be preventable. An API gathering weather data does not need to take the same precautions as an API that is sending patient’s private medical data. The best way to ensure this data is kept private during transfer is by using encryption. With sophisticated key management strategies, or encryption key management strategies, the data can become accessible on a need-to-know basis. Authentication is used to reliably determine the identity of an end user, while Authorisation is used to determine what resources the identified user has access to. Authentication and Authorisation are commonly used together. On the web, Authentication is most often implemented via a dialog box that asks for a username and password. For added security, software certificates, hardware keys and external devices may be used. Once the user is authenticated, the system then decides which resources or data to allow access to. For APIs, access tokens are commonly used, either obtained through an external process (for example when signing up for the API) or through a separate mechanism. The token is passed with each request to an API and is validated by the API before processing the request. The best solution is to only show your authentication key to the user once. It’s their responsibility to hold that key near and dear. Think about it this way – would you trust someone who kept losing the spare keys you gave them…? This all sounds great, why doesn’t everyone do it? API setup can be complex, especially if you are navigating your way around big data and different systems and teams. More and more however, companies are realising that API integrations are the way forward for making your marketing campaigns truly personalised, more interactive and the most enjoyable experience for your customers, and are investing time and resource into getting APIs set up. Additionally, from an internal perspective, they will save your team and company time in the long run. If you want to chat to us about how Enabler’s APIs could take your email marketing to the next level, please get in touch. Increasing profitability, maximising return on investment, improving market share etc, etc… Like any business, these objectives, as well as others, will be something that we all strive to achieve at one time or another… but how? Well, if your marketing campaigns are not customer-focused and highly engaging, your business could ultimately be shooting themselves in the digital foot. This all comes down to having a good strategy in place that not only piques customers’ initial interest, but continues to nurture over time, ensuring they purchase again and again. If a business is to grow, keeping those customers on board who have previously engaged or purchased is extremely important. One of the easiest ways to do this is to create a strong brand identity that makes your past customers think of your product first over any competitors. For example, when you want to find something out – what do you do? Straight to Google – in fact it’s even become a verb in itself…! What Does An Email Campaign Offer? In today’s social media driven climate, we can spend hours updating statuses, engaging with tweets and hashtags, or even finding the best filter to showcase our big promotion. But even with all these social tools at our disposal, email marketing is still one of (if not the) most cost effective and efficient way of staying at the forefront of your customers’ minds. According to a study by Workhorse, email marketing drives more conversions than any other digital marketing channel – including search and social. With that said, it’s worth bearing in mind that content plays a huge part in how a person actually behaves when their smartphone notifies them of the ‘millionth’ email they’ll receive that day. By including a recipient’s first name in the correspondence and/or subject line, it takes your marketing communications away from an impersonal intrusion and into a more personal, friendly place which can be highly beneficial for improving your retention rates, with recipients feels that little pang of appreciation as they realise they are a valued customer. Think about it, we all appreciate that feeling of being welcomed or recognised when walking into our local shop or restaurant, and the same can be said when receiving an email, and goes way beyond just adding their first name. That added personal touch should be added to all your content communications – from contacting a customer with special offers to wish them a happy birthday, to targeting communications based on their personal shopping habits can all go a long way to continually converting that customer. Businesses who achieve high customer retention rates will see a better return on investment, it’s as simple as that. So How Can a Business Ensure Customer Retention Via Email? As previously mentioned, email content will be the main aspect to focus on in terms of grabbing your customer’s attention. Enticing emails that are informative and encourage the person to interact, gives greater opportunity to drive that person towards either a specific website, landing page or document. Not only does it immediately get the customer interacting as it gives them the opportunity to voice their opinion, but it increases traffic to Amazon’s website opening up the likelihood of a repeat purchase or interaction with other products on their site. Additionally, redirecting traffic to specific pages helps with analysing data and segmenting customers into groups, which helps to avoid spamming them in future correspondence…no one wants to receive those dreaded unsubscribe notifications! Emails that contain some elements of this formula make it easier for your customers to engage, especially if the content stands out. Customers who regularly engage with your brand are more likely to show loyalty if you set them up for success with personalised content, helping to keep customer churn rates low. In order to maximise interaction with your emails, consider devising campaigns separated five to eight emails; think of it as taking the consumer on a journey, covering aspects of brand explanation, benefits of purchasing and special offers. Without over exaggerating the direct sell, this method shows the customer an in-depth explanation of specific aspects of the campaign which helps to increase brand trust and ultimately persuades them to buy. January, or even winter on the whole is a time when many people look for their next holiday destination. While there are many sites out there, Booking.com have a very clever strategy of re-targeting users who have searched for places to stay in a particular area but have (for whatever reason) not made a purchase. The image below is from an email I recently received – from the personalised subject line to the informative content regarding discounted rates, the call to action immediately grabbed my attention reminding me I needed to book accommodation before it was too late. I ultimately did, furthermore receiving a 50% discount for my next booking which will be at the forefront of my mind for future trips, while keeping that lot from the Booking.com retention team happy as well! Treatwell incentivise their customers by offering discounts for future bookings by leaving a review. Their reviewing system is user friendly and encourages a click through in order to receive the £5.00 discount, as well as including a deadline date which also encourages the consumer to act quickly to avoid missing out on the offer. Not only does Uber provide us with rides home at a push of a button, they now also bring us our favourite food through their UberEATS app (what would we do without them eh…..?!). Their offer of free delivery to app users is straightforward with a clear call to action (see image below), the smartphone gives the user an image of how to receive the offer, and the inclusion of a promo code gives UberEATS the ability to track and analyse user flow to determine whether the campaign has been successful. So we can safely say that a business will benefit from implementing a high-quality email campaign strategy, focusing on providing content that invites their customers to interact with their emails. By creating content which either informs your customers about your products or offering incentivised click throughs will definitely help to keep retention rates high. As long as your business understands its audience and gathers useful, relevant data, it will be able to connect with and apply targeted content to maximise customer interactions. If you’re interested in putting your business at the forefront of your customers minds, why not join one of our Design Thinking sessions this year.